In 2012, we released our first series of blogs on the rampant rancid fish oil problem within the omega-3 industry. Since then, freshness has thankfully become a recognized topic, cropping up everywhere from the New York Times to the latest GOED summits. Freshness should be a trending consumer conversation. Recent research demonstrates the superiority of fresh fish oil to rancid oil, and other studies indicate that excessively oxidized oil can be a serious health hazard. Still, it’s a subject that desperately needs more examination as the term “freshness” gets tossed around by journalists and manufacturers alike. Researchers have been raising concerns about rancid fish oil supplement for some time now. In animal studies, consuming large quantities of oxidized fatty acids have been found to cause organ damage and atherosclerosis (1), among other health issues. Further studies have also suggested that oxidized fatty acids have a pro-inflammatory and mutagenic effect (2), and may even increase certain risk factors for Alzheimer’s disease (3). Perhaps the most compelling evidence, however, comes from a small group of studies comparing the effects of non-oxidized vs. rancid fish oils. These studies build the strongest case for why it’s important to get a high quality omega-3 supplement. While getting enough omega-3s during pregnancy is important, studies indicate that it’s also crucial to consider the quality of the omega-3 source. One 2016 rat study compared the effects of consuming fresh versus highly oxidized fish oil supplements on both mothers and newborn pups. Alarmingly, the researchers found that giving mothers oxidized fish oil increased maternal insulin resistance and newborn mortality rates. When the rat mothers were fed fresh fish oil, however, there was no increase in either rate (4). One year later, the same group of researchers conducted a similar study, looking closer at the effects of just fresh fish oil. This time, the researchers found that the fresh oil prevented insulin resistance in the offspring — a positive outcome with potential application for fighting obesity and type II diabetes. 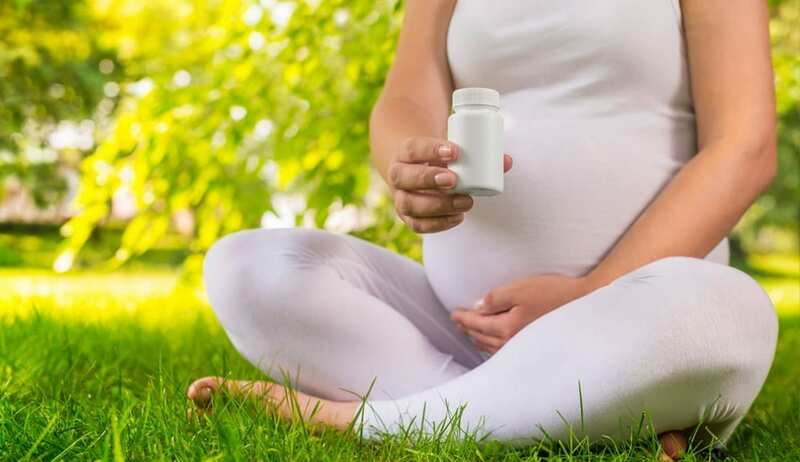 While the researchers concluded that taking non-oxidized, fresh fish oil during pregnancy had a positive long-term effect, they also lamented the lack of such supplements available to expectant mothers (5). To date, most studies looking at the impact of oxidized fatty acids have been conducted on animals. But a few studies have explored the effects on human health too. A 2013 study, for instance, compared the results of women who consumed either less-oxidized omega-3 capsules, highly-oxidized omega-3 capsules, or no capsules. 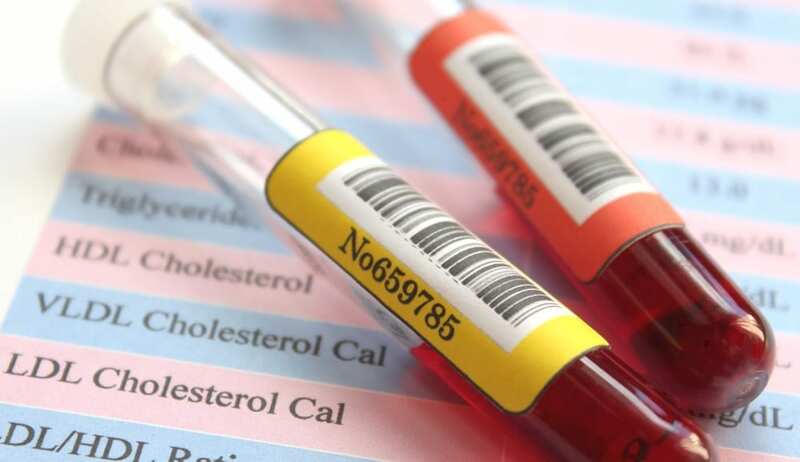 After 30 days, they measured the women’s triglyceride and cholesterol levels. The women who received the less-oxidized capsules had significantly reduced “bad” cholesterol levels. In contrast, the women in the highly-oxidized capsule group saw a negative impact on their cholesterol levels (6). A second study of 54 British men and women found similar results: Fresh fish oil supplements provided a significant decrease in LDL and IDL cholesterol levels. Oxidized fish oil users, however, saw increases in these “bad” levels (7). While looking at different health areas, these studies all found similar trends: Fresh fish oil delivered positive benefits. The rancid fish oil, however, did more harm than good. Two studies to date show that freshness impacts the heart health benefits of omega-3 products. Could Rancid Fish Oil Explain Mixed Omega-3 Results? While this handful of studies don’t prove anything conclusively, they do raise important safety questions. Furthermore, they could also help explain why omega-3 studies deliver such a mixed bag of results (8, 9). Alarmingly, independent surveys from Norway (10), New Zealand (1), South Africa (11), and Canada (12) have found that the majority of omega-3 supplements are rancid at the time of purchase. Therefore, it is likely that many researchers are also using rancid fish oils in their studies, potentially confounding the results. Unfortunately, this is hard to determine since – at the time of publication – very few research studies reference the oxidative status of their oil. Part of the confusion may lie in the fact that scientists haven’t adequately defined what a fresh or rancid fish oil is. Freshness standards for omega-3 products still haven’t been outlined by the FDA (13). In fact, companies can voluntarily choose to meet international standards, which are largely set by omega-3 trade organizations, like GOED. As of today, most studies looking at the freshness levels of omega-3 products use the standards set by GOED and the Council for Responsible Nutrition (CRN) as their guide. GOED and CRN currently set their limit for the peroxide levels of omega-3 products at 5 mEq/kg. 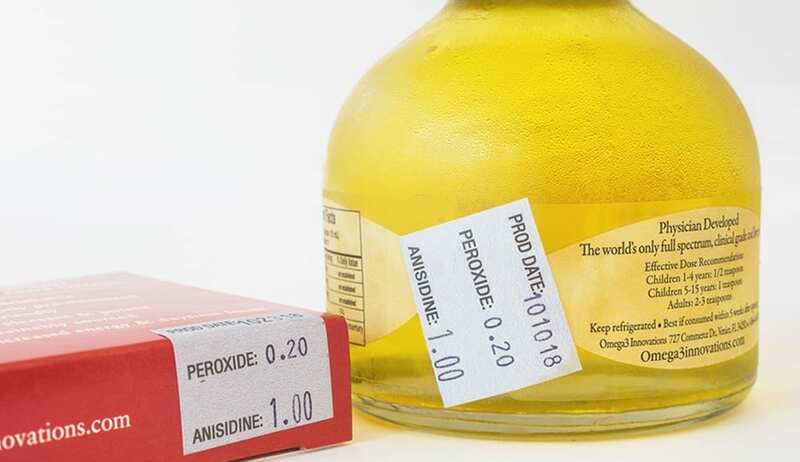 However, some researchers suggest that 2 mEq/kg would be a better upper limit, while others maintain that a truly fresh oil would have a peroxide value below 1 mEq/kg (15). It is worth noting that few commercially available fish oils have a peroxide value below 2 mEq/kg (15). Since higher oxidation values are typically associated with ‘off flavors’, this also explains why the great majority of omega-3 products have a strong fishy taste and smell. 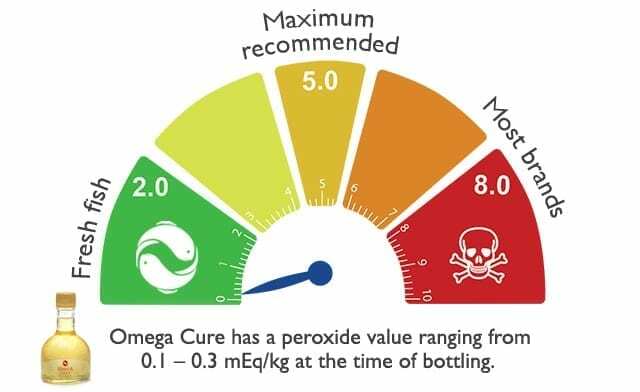 Omega Cure®’s peroxide value typically clocks in between 0.1 – 0.3 mEq/kg at the time of bottling – hence the absence of any fishy taste or smell. Omega-3 freshness is a complicated subject, but if we’re going to provide people with excellent nutrition, then scientists, manufacturers, and consumers need to start having more open conversations. At Omega3 Innovations, we provide the peroxide and anisidine values of our current Omega Cure batch, along with the date of bottling, on our products. You’ll find this information on the bottom of your Omega Cure bottles and Omega Cure Extra Strength boxes. Our intention is to provide our customers with a better idea of the quality of the oil they are putting in their bodies. Since our liquid fish oils are shipped shortly after bottling, you’ll have an close reading of your oil’s freshness level when it arrives. But, as is the case with any omega-3 product, please be aware that oxidation levels change with time. 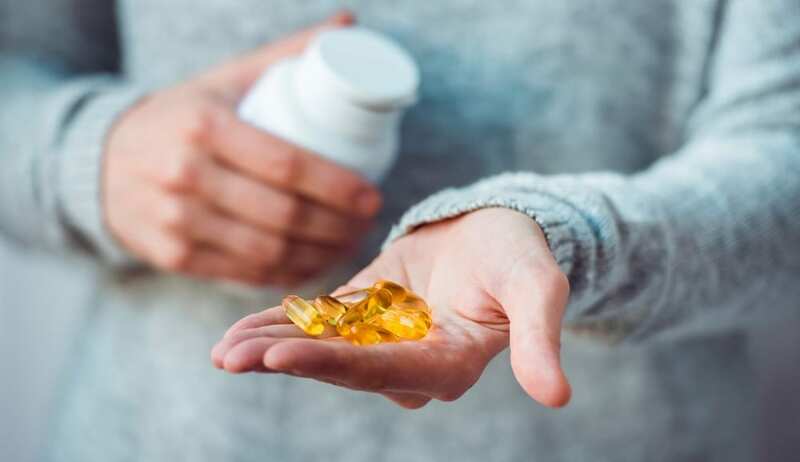 The oil inside a fish oil capsule may have been fresh when it was first encapsulated, but after a few months of dusting on a shelf at room temperature, the oil’s peroxide value will likely have multiplied. Similarly, Omega Cure won’t last forever in your refrigerator. That’s why we encourage you to always continue to assess it with your taste buds. If you have questions about any of our products, we encourage you to give us a call, email us, or leave a comment here. We look forward to hearing from you! 1. Albert, B. B. et al. (2015). Fish Oil Supplements in New Zealand are Highly Oxidised and Do Not Meet Label Content of N-3 PUFA. Scientific Reports, 5, 7928. 2. Wang, W., Yang, H., Johnson, D., Gensler, C., Decker, E., and Zhang, G. (2017). Chemistry and Biology of -3 PUFA Peroxidation-Derived Compounds, Prostaglandins Other Lipid Mediat (2016). Prostaglandins & Other Lipid Mediators, 132: 84 – 91. 3. Grimm, M.O. et al. (2016). Oxidized Docosahexaenoic Acid Species and Lipid Peroxidation Products Increase Amyloidogenic Amyloid Precursor Protein Processing. Neurodegenerative Diseases, 16(1-2): 44-54. 4. Albert, B.B. et al. (2016). Oxidized Fish Oil in Rat Pregnancy Causes High Newborn Mortality and Increases Maternal Insulin Resistance. American Journal of Physiology-Regulatory, Integrative, and Comparative Physiology, 311(3): R497-504. 5. Albert, B. B. et al. (2017). Fish Oil Supplementation to Rats Fed High-Fat Diet During Pregnancy Prevents Development of Impaired Insulin Sensitivity in Male Adult Offspring. Scientific Reports, 7(1), 5595. 6 García-Hernández, V.M., Gallar, M., Sánchez-Soriano, J., Micol, V., Roche, E., and García-García, E. (2013). Effect of Omega-3 Dietary Supplements with Different Oxidation Levels in the Lipidic Profile of Women: A Randomized Controlled Trial. International Journal of Food Sciences and Nutrition, 64(8): 993-1000. 7. Nair, U.B. Fresh Fish Oil Supplements are Better at Reducing Bad Cholesterol. Medical News Bulletin. August 5, 2017. 8. Turner, R., McLean, C.H., and Silvers, K.M. (2006). Are the Health Benefits of Fish Oils Limited by Products of Oxidation? Nutrition Research Reviews, 19(1): 53-62. 9. Albert, B.B., Cameron-Smith, D., Hofman, P.L., and Cutfield, W.S. (2013). Oxidation of Marine Omega-3 Supplements and Human Health. BioMed Research International, 2013, 464921. 10. Laupsa-Borge, J. (2012). Velg Ferske og Naturlige Omega-3 Produkter. Helsemagasinet: Vitenskap & Fornuft. 11. Opperman, M., and Benade, S. (2013). Analysis of the Omega-3 Fatty Acid Content of South African Fish Oil Supplements: A Follow-Up Study. Cardiovascular journal of Africa, 24(8): 297-302. 12. Jackowski, S. A. et al. (2015). Oxidation Levels of North American Over-the-Counter N-3 (Omega-3) Supplements and the Influence of Supplement Formulation and Delivery Form on Evaluating Oxidative Safety. Journal of Nutritional Science, 4, e30. 13. Miller, J.L. et al. (2019). A Peroxidized Omega-3-Enriched Polyunsaturated Diet Leads to Adipose and Metabolic Dysfunction. The Journal of Nutritional Biochemistry, 64: 50 – 60. 14. Halvorsen, B. L., & Blomhoff, R. (2011). Determination of Lipid Oxidation Products in Vegetable Oils and Marine Omega-3 Supplements. Food & Nutrition Research, 55. 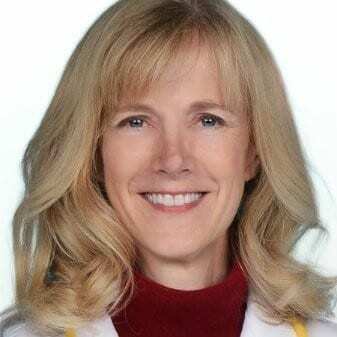 Born and raised in the United States, Dr. Chalmers graduated from Brown University and completed her medical training at the University of Oslo in Norway. Dr. Chalmers practiced medicine for many years, serving both at high-tech hospitals and as a community health worker in rural Norway. Together with Dr. Martinsen, she later co-founded Wellpride LLLP dba Omega3 Innovations and is the joint holder of several patents that facilitate the ingestion of multiple medication combinations. Today, she serves as the president of Omega3 Innovations.